Yesterday on my personal blog I may have raved a bit about Tahereh Mafi's writing style. And next week is technically my week to post. But then I kind of stayed up until 2 am to finish Ignite Me, finishing it in less than five hours, and I was breathless the whole time so here goes. 10 reasons I loved the finale to the Shatter Me trilogy. If you haven't read the book then I would suggest stopping at the end of point 3 as I simply couldn't say what I wanted to say without SPOILERS. You have been warned. I really didn't know what to expect from this third installment. I had some vague ideas, but overall it was a revelation. I loved that it was so unpredictable. Everything made sense. So even though I didn't know where everything was going or how it was going to play out nothing felt uncomfortably surprising. 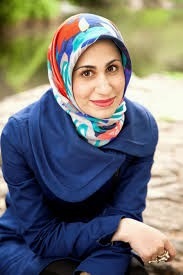 Everything really made sense in the world Tahereh had made and with the characters she had developed thus far. Each character developed realistically. Based on what they had gone through both in the books that we've seen and in the things we've learned and learn about their lives I thought that Juliette, Warner, Adam, and Kenji acted and reacted in a way that made sense. KENJI. Oh my goodness Kenji. I would have to say that he was my favorite character in this book. 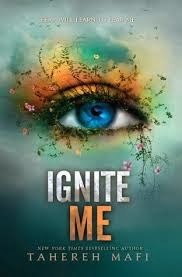 If Shatter Me was about the relationship between Juliette and Adam and Unravel Me was about the relationship between Juliette and Warner, then Ignite Me, in a lot of ways, was about the relationship between Juliette and Kenji. And no, there is no quadrangle so shut up. But the way their friendship developed was so sweet and made so much sense. The moment when Juliette calls Kenji her best friend had me getting teary-eyed. Really. And their shared moment on the roof. And when Kenji opened up about how hard it can be to be the "funny" one. And when James tries to hook Kenji up. And everything. Aaron. Or Warner as I will always think of him. I loved that he was broken down throughout this book. He didn't change the core of who he was, but he had to shatter and unravel in order to fully ignite into the full potential of the person he could be. It honestly made me think of a line from the song "Fixer-Upper" from Disney's Frozen: "We aren't saying you can change him / 'Cause people don't really change / We're only saying that love's a force that's powerful and strange / People make bad choices if they're mad or scared or stressed / But throw a little love their way, and you'll bring out their best." If there were lyrics that described the way Juliette and Warner's relationship develops during this book I think this would be it - for both of them. James. Oh James you are the sassy adorable heart of the group in so many ways. The brother moment. When Warner finds out that he and Adam are brothers? SO MANY TEARS. The way he reacts. And the way Adam reacts. And the way they both just look at James. And it was just so wonderful and perfect. Action! The plan and Juliette and Kenji's attack on the supreme commander's ship and blowing up things and learning to fight and ... if the emotional development wasn't enough, there was plenty of action to keep things moving and intense. Juliette. Seriously. Her character developed so perfectly. I have a feeling some people will say that there's too big a difference between who she was in the previous book and who she was in this book, but personally I think (and I just reread the entire series in less than a week) that her character arc was paced very well. She is still dealing with a lot of the things that she has been dealing with throughout, but she is learning how to deal with those things and finding strength in herself. I was cheering every time that she said that her decisions were about more than who she was in love with or not in love with or who wanted her more. She began to be able to see the larger picture, and I applauded the fact that, although she does make a decision, she waits until she can make it on her terms and she is sure that it is what she truly wants and not just based on lust or physical attraction or even emotional baggage. And how amazing is she when she learns how to use her powers? Because I really want to see that in movie format. When she throws all the men off the ship!? Love. It. The ending. At first I was disappointed with the ending - not because I didn't like it, but because there are SO many things left open. I want there to be like five more books. ha. But the more I have thought about it (in the whole 9 hours since I finished it) the more I like it. I like that it's a beginning more than an ending. I like that there are all of these possibilities and challenges ahead of them. It doesn't feel like the characters' story is over this way. And I can think about all of the things that could happen. The things that needed to be resolved were resolved and everything wasn't wrapped up with a pretty bow. I also was immensely grateful that there was no epilogue of like "ten years later" or something. Tahereh leaves that up to us to imagine and I LOVE her for that!